A question I hear often from organizations trying to expand their individual donor base is: Why should we bother with an annual fund when what we really want are major gifts? My first response: stop thinking in silos! The line separating annual fund and major gift donors is more fluid than you think. Another answer that holds true 90% of the time is…you can’t have major gifts without an annual fund. A contribution to your annual fund is often the first way a donor gives to your organization. An annual fund gift is a low-level commitment that can be made without attracting too much attention. But does the size of their first annual fund gift always correlate to a donor’s true capacity for giving? Definitely not. Donors with major gift capacity often begin their relationship with a nonprofit by making annual fund gifts to test things out. They note how quickly (or slowly) your thank you letter arrives, how interesting and accessible your communications are, what stories you tell, and—most importantly—how they FEEL supporting your organization. If their experience is positive with their annual fund gifts, these donors can become excellent major gift prospects. Thinking about a new cultivation or stewardship strategy for major givers? Practice it with your annual fund. In addition to serving as a first step for major donors, your annual fund can also be a testing ground for new messaging, a new event format, or a new solicitation strategy. Want more reasons to love your annual fund? Click here. What are your thoughts on annual fund gifts? Have you had success transitioning donors from small entry-level gifts to more significant donations for your organization? Please share your thoughts or experience in the Comments box below! 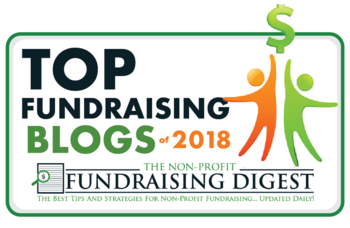 If you would like proven fundraising tips and ideas delivered every other week to your inbox, sign up here. You’ll also receive a free gift, my step-by-step guide, Conquer Your Fear of Asking for Money!